St Michael & All Angels is a Grade II Listed Church is Melksham, Wiltshire. In partnership with our sister company, EMJ Architects we proposed an addition of a café space as well as much need additional WC and storage facilities. 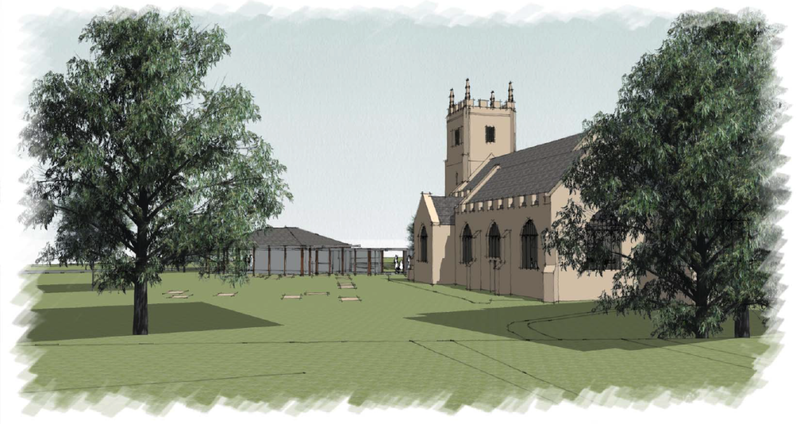 This is achieved through a separate wraparound storage structure and a pavilion building in the ground of the church, which create the additional spaces without need for internal alterations to the listed building. The café pavilion is connected to the church by a lightweight glazed section, providing covered circulation in a modern style which is subservient to the existing church.